Tidal Current Technology extracts energy from the high tide bulge created by the gravitational pull of the Sun and Moon moving horizontally around the Earth’s surface. It does not require blocking of any waterways, and does not have the adverse environmental effects associated with Tidal Barrages. Coastal locations with strong tide variations and strong currents abound around all continents and Tidal current power gives us another opportunity to harness power from the sea without polluting it. If we take into consideration that seawater is 832 times denser than air, then a 1knot current has more kinetic energy than 70 km/h of wind. Tidal current energy takes this kinetic energy available in ocean currents and converts it into electricity. Since oceans cover over 70% of Earth’s surface, tapping into energy available in the oceans by means such as wave power, tidal current power and ocean thermal energy conversion, has the potential produce between 2,000 and 4,000 TWh per year. For tidal current energy, there is an estimated 50,000MW or approximately 180TWh per year of economically exploitable resource available worldwide. 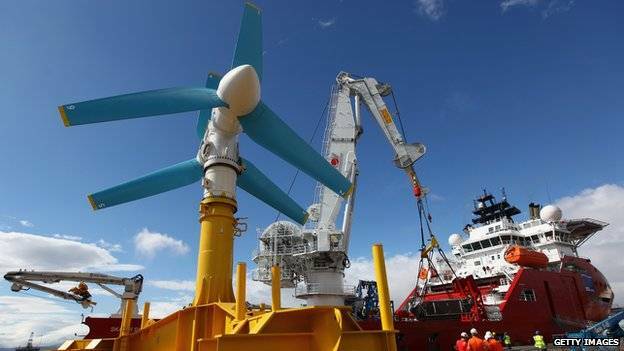 An interesting piece of subsea equipment is vital in order to harness tidal current energy and that is the turbine, which needs to be efficient and sturdy, yet easy to maintain. The Atlantis Resources Corporation (ARC) has experience in manufacturing these tidal power devices, their AR series of turbines for high energy open ocean environments is being used for the Pentland Firth project and the first 1MW prototype was deployed at the European Marine Energy Centre in 2011. Development continues at NAREC (National Renewable Energy Centre) in the to UK, to enhance the drive train configuration and control system ensuring that the turbines can survive and perform in an integrated array. 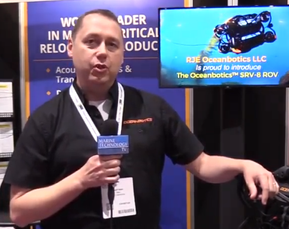 The AR series turbines are commercial scale Horizontal Axis Turbines designed for deployment in the harshest open ocean environments on the planet. 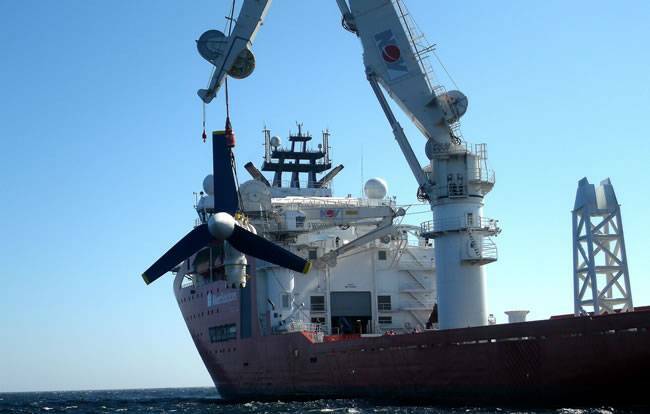 They feature a single rotor set with highly efficient fixed pitch blades, rotating as required with each tidal exchange. This is done in the slack period between tides and fixed in place for the optimal heading for the next tide. AR turbines are rated at 1MW @ 2.65m/s of water flow velocity. The AR-1000, the first of the AR series, was successfully deployed and commissioned at the EMEC facility during the summer of 2011.